Your goal is to get a fish and feed a polar bear. Drop objects to achieve that. 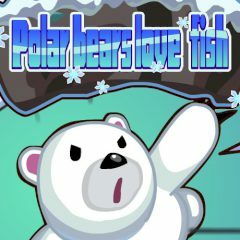 Help this cute polar bear to get a fish. There are some tools available and you must use them in the right order to do this!